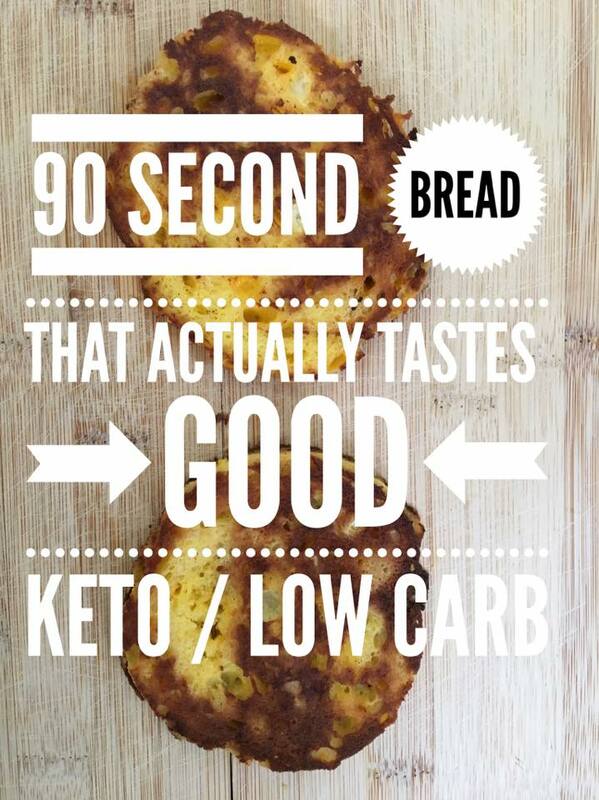 90 Second Bread is one of those recipes that everyone on the ketogenic diet needs in their life. This one is a recipe that took time to develop, but it makes life so much easier to manage! If you’ve ever tasted 90-second bread straight out of the microwave you may understand why I think it is a lifeless dull flimsy eggy bread like a disk that tastes sad. I mean, seriously, I am just not that desperate for bread if I have to eat it like that. I love tweaking recipes and thought surely there was a solution that would bring 90-second bread to life. 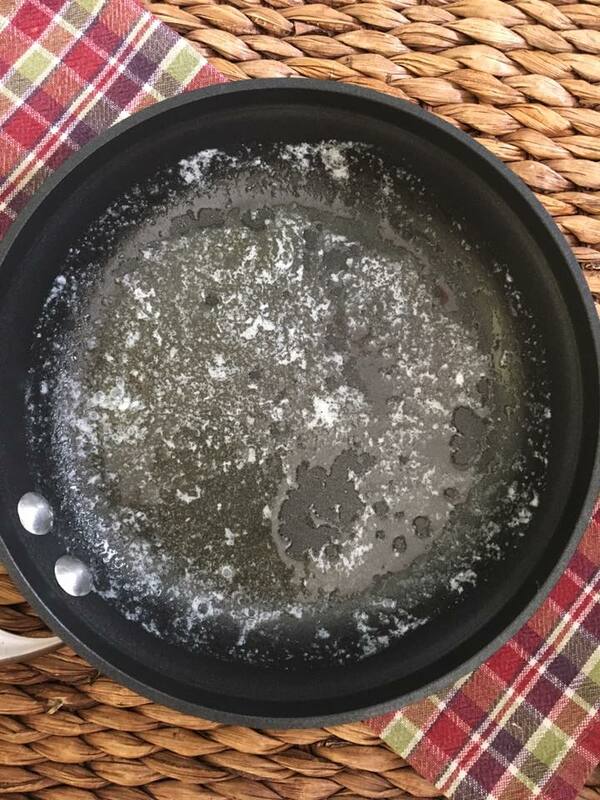 So, after my first bite, I knew I had to throw it in a skillet with a little butter to crisp it up. Immediately, it tasted so much better. Then, I added cheese and bacon and it was hard to believe that it started out so sad and tasteless. Wow! 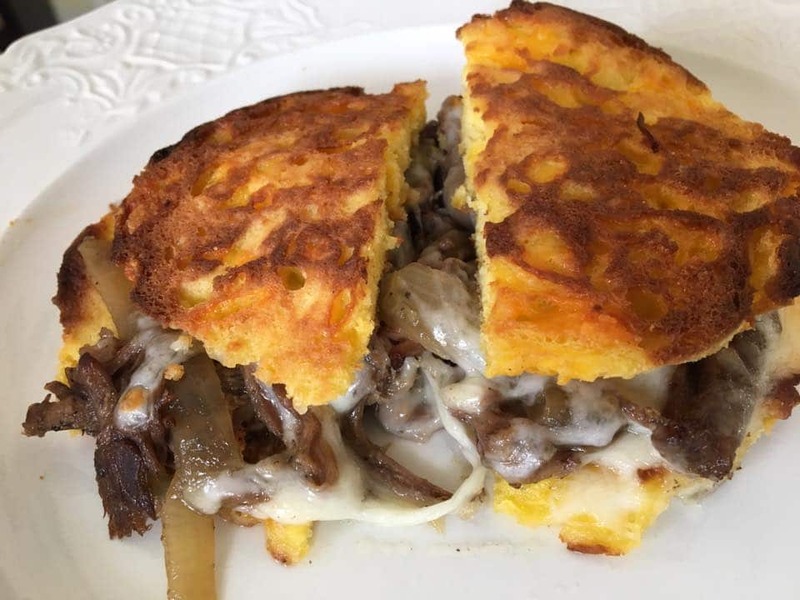 Last night I made Keto Pot Roast and remembered a recipe at lunch today where you serve pot roast on bread with melted cheese. As I was making my 90-second bread, I decided to change up some of the ingredients in hopes of making it even better. I can say that it was a total success. 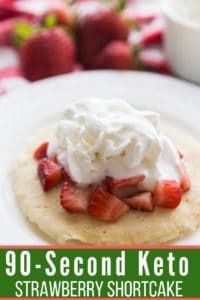 You do still need to crisp it up in a skillet or toaster oven for sure, but the flavor is so much better with the changes I made. I’ve included a step-by-step picture tutorial below because I didn’t want to do my hair or makeup for a video. Ha! Also, check out my 90-Second French Toast Recipe here and my 90 Second Personal Pan Pizza Recipe here. After you mix up all the ingredients it will look a little lumpy like this. This is sad lifeless 90-Second Bread straight out of the microwave. Don’t eat it like this, you’ll be sorry. Cut the bread in half horizontally with a bread knife. Heat a skillet with a tablespoon of butter and cook bread on both sides until it’s crispy. I use an 8″ skillet. Now, doesn’t that look so much better? It has a life to it now and is hearty enough to handle bacon, cheese, or whatever else you’d like to add. Here are examples of my favorite ways to eat 90-Second Bread. 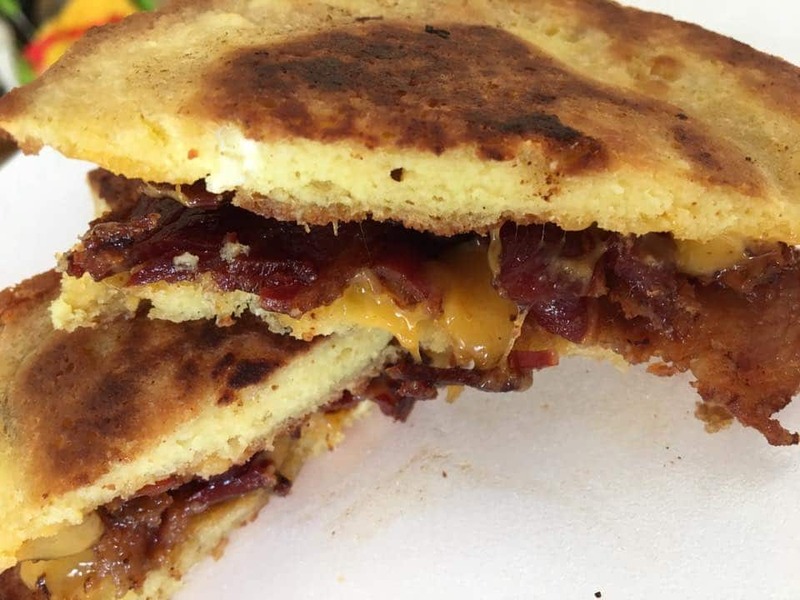 90-Second Bread with bacon and cheese. Heat 1 tablespoon of butter in a skillet and cook 90-Second Bread on each side until crisp. 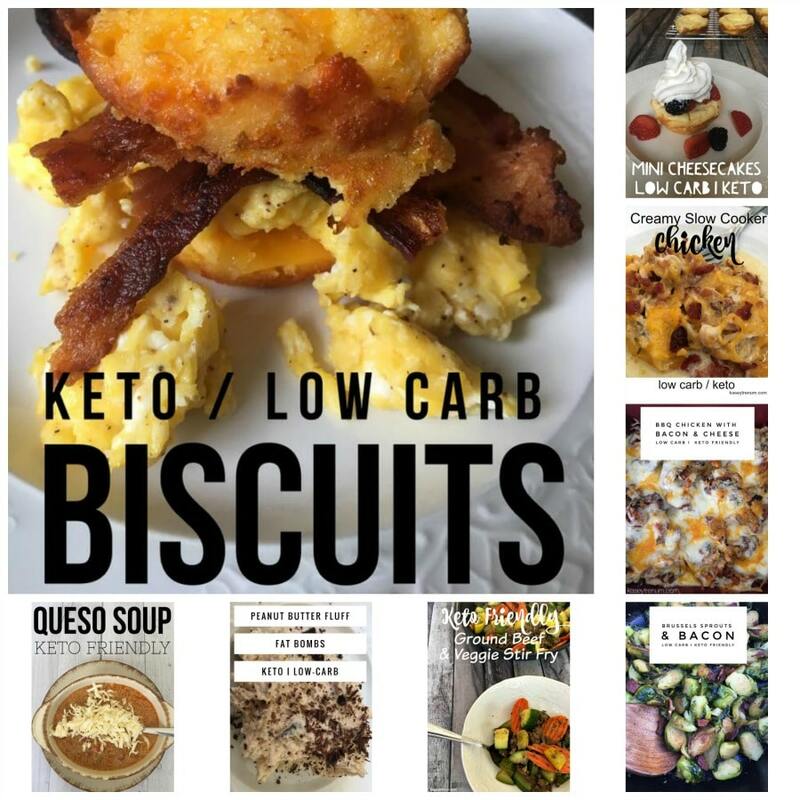 You can find more keto friendly / low carb recipes here. Sure! Happy to include the pictures. Have you added this bread to MyFitness Pal can’t seem to find it ! Just made it and it’s awesome addition for my once bunless burger patties!! I may not have saved it in MyFitnessPal once I recorded the Macros. For MyFitnessPal I create a recipe with the ingredients. Does a great job in calculating nutrition. Then I can always select the item for my meals. Can you substitute the coconut flour with almond flour? You can, however, I’m not sure how much. It is not a 1:1 ration. My daughter is allergic to almonds so I’ve never used it before. I made 90-sec Keto bread tonight from another recipe and did use 1T coconut flour and 1T almond flour, 1 egg, 1T milk (i used half n half) 1T Olive oil, 1/4 tsp baking powder and a pinch of salt. It turned good. I did it exactly the same way today! Loved it! I know you might not need the answer anymore – but just for future people who might read this …. coconut flour is much thirstier for liquids – so if you want to use almond flour you will need to use more flour. roughly 3T almond four will be equal to 1T coconut flour. thank you for the recipe – I will be trying it. I sub’d The almond flour for the coconut and did 3 tbls, it was awesome! Yes, 3Tbls. of almond flour, 1/2tsp. of baking powder, 1/4C of parmesian cheese, 1tsp. rosemary chopped, 1/2tsp. garlic powder, s&p to taste, 1Tbls. unsalted butter melted & 1lg. egg beaten. Microwave for 90 seconds, until bread has risen. This is the only recipe I have tried & it was from TASTY. This is the best 90 second bread I’ve made so far. Thanks for the post and recipe!! Awesome! It definitely makes it taste better. 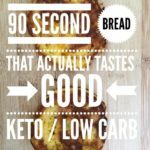 What protein is in this keto bread ? I just updated the info in the post. Thanks for the heads up. I didn’t realize I had missed adding the info for protein. Are the macros you listed just for the bread or the egg bacon whatever you filled it with? This was my first try at keto bread. Frying the bread DEFINITELY HELPED (I don’t think I could have eaten the spongy, out-of-the-microwave product). 1. Have you tried making this ahead and storing? Either the bread or the “batter”? Results? 2. Your pictures look really crispy – I couldn’t quite get that texture. How well would it hold up in a regular toaster? Have you made it the day before to uses for the next day? I’ve never tried it before so I don’t know for sure. It won’t hurt to try. Let me know if it works. I put it on a plate, let it cool a bit, then into toaster. It’s very good. Made recipe as is, but like the idea of toasting it. Very flavorful and filling, not to mention quick. Thanks! I made these for our family. We had the greatest sliders tonight. Yum! I did use almond flour because the taste of coconut makes me want to hurl. I split it, dried it up, and had myself a keto bacon and egg breakfast sandwich. So good! Fried! I fried it up, it dried. Haha! I’m so glad you enjoyed it! Yay! I’ve never used almond flour because my daughter is allergic to almonds. Did you use a 1:1 ratio for the almond? I have the same aversion too coconut flour ? I’ve never used almond flour due to my daughter’s almond allergy so I’m not sure. Usually, coconut flour and almond flour are not a 1:1 substitution so I’m not sure. I personally haven’t used almond flour because my daughter is allergic to almonds. How much almond flour instead of coconut? how much almond flour did you use for this recipe? Do you have to put the sour cream in? I can handle eggs and butter, but other dairy products really mess with my stomach. You could omit the sour cream if you’d like. It just adds a little extra moisture. Have you tried plain yogurt instead of sour cream? 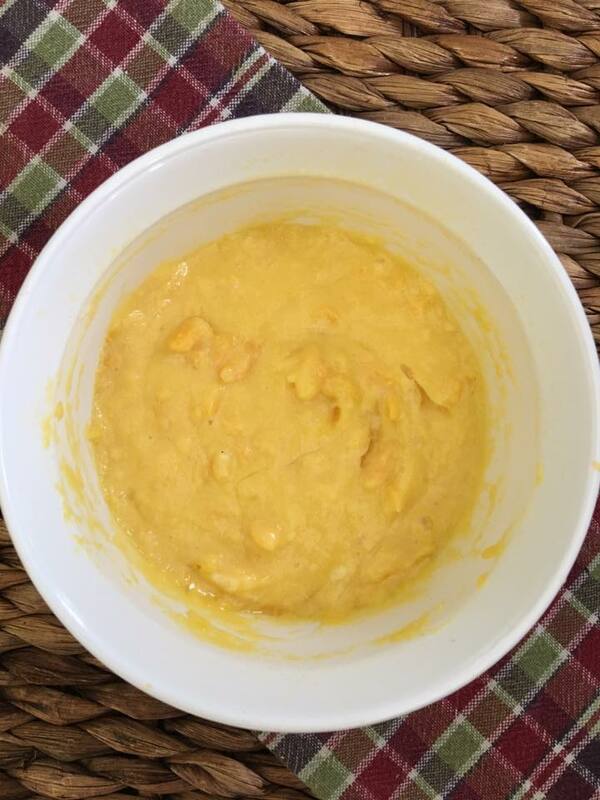 I didn’t have sour cream handy, so I used 1 1/2 tablespoon of lactose free cream cheese and omitted the cheddar cheese….yummy! Perfect! So glad you enjoyed it! I didn’t have sour cream so I substituted mayo….worked perfectly.. I wonder if keifer would work. It doesnt have lactose so is tolerated better. I don’t know I’m not familiar with it at all. I only use Kefir or yogurt and both work great! So happy to find your post, this bread is excellent!!! And I love your photos. I don’t have a microwave….any idea how long I would cook this in the oven and at what temp? I would cook at 350 and start checking after 5 min. When you can pierce it with a knife in the middle and it comes out clean it’s done. Could you sub egg beaters for the egg? I’ve never used egg beaters, but I’m sure you could try. If made with coconut flour does it taste like coconut? I’m not a fan. It doesn’t taste like coconut to me, however, I love coconut so if it did I wouldn’t mind. My daughter is allergic to almonds so coconut flour is all that I have used. Doesn’t taste like coconut to me either. Very good. I used Coconut flour and gave a nice flavor.It was delicious! Hi. What power microwave did you use? I’m sorry I have no idea. We’ve had it for a while. It is one that is built in above our stove if that helps at all. I would say it has a higher wattage. Can mozzarella cheese be used? Sure! You can try any kind of cheese to vary the taste. Awesome! I’m so happy to hear. Could you use anything other than sour cream, like cream cheese or hwc? I dont have sour cream at the moment. You could either omit or use cream cheese. Do the macro counts include the butter you used to toast it? No, that butter is not included as not all of it will be absorbed in the bread and the amount used from person to person will vary. This was really good. Grilled the bread in bacon grease then put a slice of provolone, turkey and bacon on it. My 13 year old son loved it! I have a 13 yr old too! When they give the stamp of approval you know it’s good! For those asking about almond flour, I just made it with it since I’m out of coconut flour. I used three tablespoons almond flour. Worked perfect. 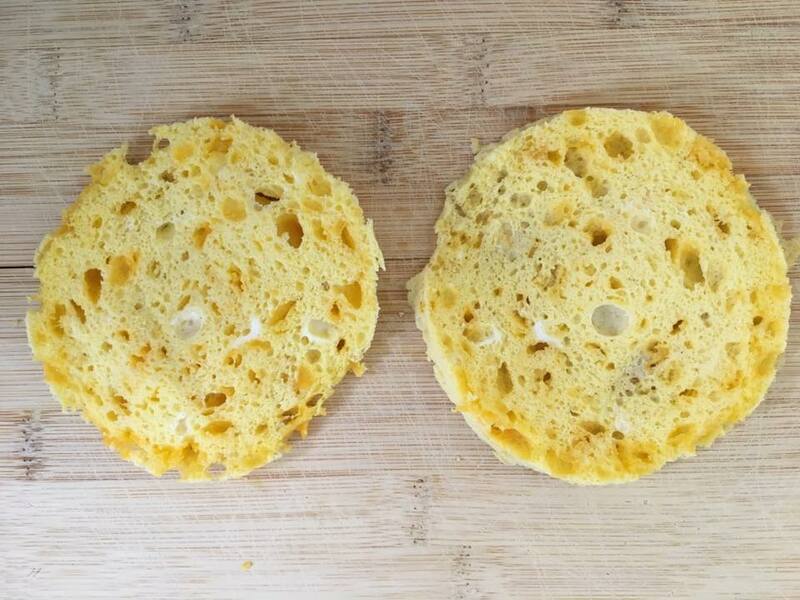 Kind of bland and sponges but it did the trick for my egg sammich I was craving. ? Fantastic! Thanks Sheri for commenting and experimenting! can I cook this in my convection oven? I’m sure you could, but I’m not sure how long or what temp. Try 350 F. Fo 8 min. Keep an eye on it may need to check in 5 min? Just made AND devoured this! Totally took care of my overwhelming bread craving today. Spread a smidgen oh Polaner’s sugar-free grape jam and a tiny sparkling of Himalayan salt. Got the whole bread-like consistency, plus a little sweet ‘n salty….worked for me! Have you tried just toasting it instead of frying? I haven’t but I’m sure you could and it would still be good. That extra butter in the frying pan is really good though. Awesome! I bet it turns out yummy! Just had this tonight with my burger! Absolutely delicious thanks for the share! Was great to finally have a burger in a bun, it’s been a long time! Fantastic! I’m so glad you loved it. Pls let us know how it works to keep the batter in the fridge. Is it good just toasted after instead of frying in butter? I’m thinking it would be greasy to handle. ? Mine did not cook in a nice round disk like yours. I used a small Pyrex dish with a flat bottom. Did you use something with a rounded bottom, like a mixing bowl? I just don’t seem to be able to get the handle of 90 sec bread! Mine came out all soggy and more of a omelette consistency… Where did I go wrong? The key is frying in butter afterward. It totally changed the texture and consistency for me. So good! 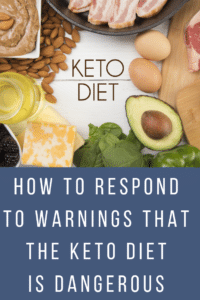 My husband that I’m dragging and kicking into Keto with me, even likes it. I asked him to try one bite, which he begrudgingly did. Let’s just say fat bombs were a def no go for him! ? Well, he ate the whole serving! Thanks Kasey! Hahaha! I love it! My kids wouldn’t stop eating the 90 second french toast. This is similar to the minute bread I make. I (and many others!) do like it straight out of the microwave. I love it buttered. While I love toasted bread, I’ve found that toasting tends to bring out the eggy flavor…and I’ve never yet seen minute bread toasted that didn’t cook me out of the toaster burned as yours is. Please don’t discount those of us who enjoy this yummy treat straight out of the microwave! Oh my goodness…come out of the toaster (or frying pan)…excuse the typo! Tried this tonight – was awesome and turned out perfect – definitely a new favorite! Will be making over and over again! Thank you! I made this for lunch….with ham, Vermont white cheddar, tomato & mayo….can I say YUMMY!!! Thanks for a great quick bread!! So glad you loved it! That sounds delish. Thanks for the recipe! I was wondering if you knew the ingredient proportions in weight? I’m so excited! I found this, desperate for something resembling bread, after cooking a huge pork roast into carnitas. 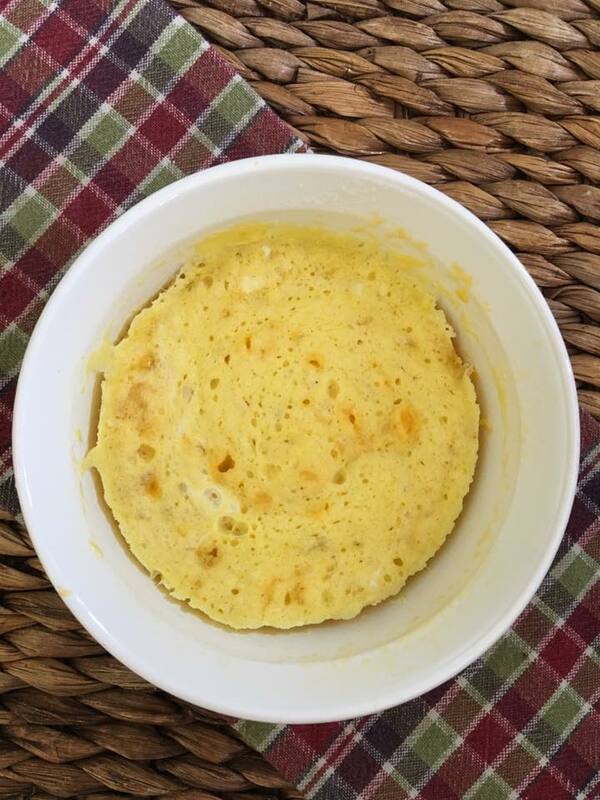 I made it with the 3T almond flour, using a small bowl to get the right size/shape, fried it up in butter, and …. *drool* … it tastes better than the biscuits I remember! <3 Thank you! Perfect! SO glad you enjoyed it. I made this for breakfast today and forgot to add the cheese, but it still came out great! So good! Came out perfect 1st try and I am a keto newbie! I just made it again! Sausage and Egg McKeto LOL. I am addicted!!! Can you tell me how many grams 1 1/4 tablespoons of butter is? One Tablespoon is 14.2 grams according to google. OH. MY. Goodness!! I was really skeptical to try this. I am so glad I did!!! I feel like I am eating cornbread. I have been missing Mexican corn bread. Could I put some bacon crumbles and jalapeños in? I’m guessing I’d need to cook the peppers a little bit. I was able to make 4 slices. I think it was the shape of my my mug. I at part of it as a sausage and egg sandwich…with my keto homemade mayo, and just ate the other two pieces. I can’t decide how I like it better, on a sandwich or plain. Yay! That makes me so happy! Feel free to make the recipe your own. I’m sure it would be great with bacon and jalapeños. Can you cook ?‍? n toaster oven instead of microwave? So glad you enjoyed it! It is one of our favorites. I made this bread using 1 1/2 Tbsns of butter and 3 Tbspns of almond flour no sour cream at all. It was great for my sloppy joes! Yum! I love sloppy joes. I’ll have to try it with them. Thanks for the idea. I tried a couple of other 90 sec bread recipe options – dry – found yours / cooked for 70 secs at a lower microwave setting – delicious- thanks for sharing. About to make a few batches so I can pop spares into the freezer ? Hi,Sue! J was wondering how they kept in the freezer? 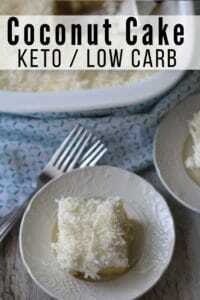 I want to make a big batch for when I start back dieting. The nutritional info you had posted, is that for the whole recipe? Yes, this recipe is just one serving. I slightly modified this recipe to make tortilla/taco shells. I added 1.5 tsp water and made it in a 9inch glass pie dish. A flexible spatula is required to pop it out and to flip, but it makes a great taco shell for both hard and soft tacos. What a great idea, James! I wish I could post a photo for you to see how beautifully this turned out. Thank you for the recipe – I’m imagining hamburger buns and savory bread and French toast and croutons and…just plain old toast! Thank you for this recipe! When I saw that it called for just ONE tablespoon of any kind of flour, I was skeptical–almost thinking it had to be wrong, but I went ahead with it. The result was amazing–and delicious. Like several others before me, I wish I could post the picture of my delicious breakfast! Note to others–don’t be afraid to be generous with the butter when you fry it. I have the feeling this is going to enable to me not feel at all deprived of my favorite thing–bread–on this journey! Thank you! Thank you! 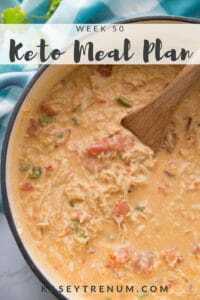 You have made keto life more fulfilling! This was SO yum & if anyone didn’t know better, they would have thought it was regular bread. 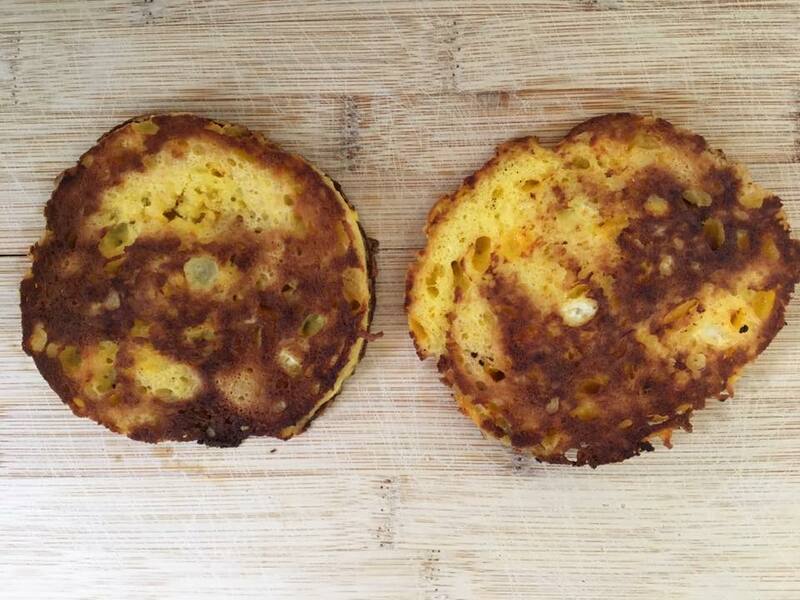 I also did your keto French toast – absolutely close to the real thing if not better. I did sub 3 tbs almond flour for the 1 tbs coconut flour in all of them. That was the only change. Thank you! Im so glad to hear that you enjoyed both recipes. Thanks so much for the substitution information as well. Microwave bit the dust so I had to bake it. I used oven-safe ramekins @ 350 degrees. At 10 minutes was still not quite done. Kept a close eye. Took them out at 13 minutes. Perfect for my oven. Once again you’ve hit it out of the park for a coconut flour recipe. Kudos!!! Next time may add a touch of garlic, a little dill, so many ideas. Thank you so very much!!! I’m so glad you enjoyed it and that it cooked up perfectly for you in the oven. Thanks so much for letting me know. I have an allergy to eggs do you think this bread could be made with substituting chia seeds for the eggs? I’m not sure I don’t have any experience cooking with chia seeds. Let me know if it works. Thanks. What size/type bowl did you use? I couldn’t tell from the pic since it was taken from the top. Thanks! Hmmm….I’ve used several different containers. I think they were maybe 6inches? I made a turkey and pepperjack grilled cheese with this today but instead of frying in a skillet with butter, I added mayo to the outside of each slice and fried it. It was absolutely delicious!! Thanks for posting this recipe. I will definitely be making again. OH, wow! That is definitely a new way to make it. Thanks for sharing. This was awesome, thank you!! Sure! Glad you loved it! 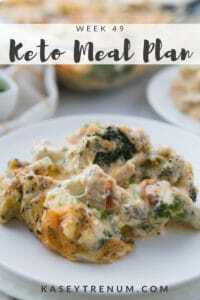 Best keto recipe I’ve tried yet!!! Can’t wait to make it again! I used plain yogurt instead of sour cream and a tiny bit of almond Milk. I used coconut oil and GHEE ( clarified butter) instead of regular butterand a pinch of salt. It was very fluffy. I cut it in half and toasted in my toaster oven afterwards to crisp it up. When I took it out of toaster oven I put some pepper jack cheese and bacon in the middle as a sandwich. Kasey, I have trouble cutting the bread in half. Do you think it would be easier if I put it in the fridge for a while? Do you have a serrated bread knife? I’ve never had any trouble so I haven’t tried cooling it first. Perfect. I had no sour cream, so used 1 tbsp of cream cheese instead. I also used mozzarella instead of cheddar because it has a mild flavor and was afraid the cheddar would make the bread taste too cheesy (I had shredded mozzarella, so I chopped it very finely on a cutting board). I actually forgot to add in the baking powder! Despite that, the bread came out perfect. I toasted it first and then placed it in a pan and browned it on each side for a few seconds without butter. Definitely making this again! It was great. Didn’t taste eggy at all and the consistency was pretty good. I’d love to find a way to make it hamburger friendly. Thanks for sharing! ? So glad you enjoyed it. Sounds like your tweaks turned out perfectly! Thank you for commenting. I haven’t tested that exact combination so I can’t say for sure, but I think it would be fine. I hate sour cream, but you really can’t taste it. Absolutely LOVE this bread recipe!! 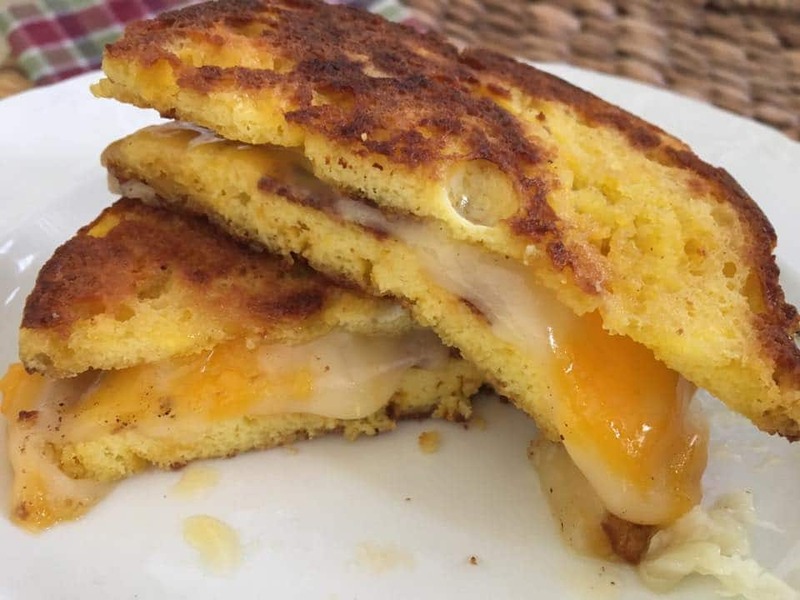 I’ve been able to enjoy grilled cheese sandwiches without all the guilt! Thanks so much. Thanks for the recipe. In the ingredient list, you say 1 1/4 tablespoon butter. In the instructions, 1 tablespoon is used to fry the bread to crisp it up. Is that an ADDITIONAL tablespoon of butter? Or is only 1/4 tbsp used in the bread batter in the mug? 1 1/4 is used in the bread. The additional tablespoon is not included in nutritional info as some of it evaporates and stays in the pan. Kasey, I love this bread1 Not only is it tasty, it’s versatile. I have used mozzarella cheese instead of cheddar; cottage cheese instead of sour cream; and I have just tried using flax seed meal instead of coconut flour. It came out perfect! I do have serrated knife, but my problem was I can’t cut straight. Today I did it slowly and the slices came out much better. Thanks for the recipe and for letting me ramble on. miss bread. This is the perfect solution! Cheap, easy and delicious!!! Awesome! I’m glad you loved it! You had mentioned in your original post that you used an air fryer. I’ve been thinking about this purchase, but was wondering what kind you use. There are so many to choose from. I just pre made 90 sec bread…how long can I store it in the fridge?? I’m not sure as I always eat it immediately; however, I wouldn’t think it would be different than any other kind of food. I don’t eat leftovers past 3 or 4 days. Just made the bread using almond flour (3 tablespoons) and I can’t believe it’s not butter (ran out of the real stuff). IT’S AMAZING!!!! I tried this recipe today. Didn’t have sour cream so I replaced it with greek yoghurt. Can’t believe how easy it was to make this and it tasted really yummy with cheesey egg and bacon! First Keto bread I can stomach!! So good!! You have saved my sandwich life!!! ? Thank you for a great bread recipe. I made a grilled cheese with bacon and it was yummy! So glad you enjoyed it! That sounds fabulous. I don’t have a microwave. Can this be done in the oven? Omg! This is awesome! Do you know how long it will keep if I make a few & refrigerate? I’ll be traveling & would love to bring some. Since there are no preservatives I’m not sure how long it will keep. I would keep in the fridge to make it last longer. I would say maybe a couple of days. You can also make a loaf and freeze it and pull out a couple of pieces at a time. Here is a link to the loaf. I made this tonight because I passed on cornbread with dinner and was really feeling sorry for myself for not being able to have cornbread. ? When grilling it, it still smelled a bit eggy, but didn’t really taste like it. However the smell made me think of French Toast. ? so I sprinkled some cinnamon on it, drizzled on some sugar free syrup and presto!!! It was great as French toast! I don’t have a microwave… does this mean I can’t make this?? You can bake it. I’d try 350 degrees and watch until it is done. The main thing is: coconut flour has a distinct coconutty flavor. Does this bread still taste like that? I like what coconut flour can do but almond flour doesn’t get that “taste.” how is this bread? I am used to coconut flour so it doesn’t bother me. Also, my oldest daughter is allergic to almonds so I have never tried almond flour. If you are particularly sensitive to coconut flavor you may want to look for a different recipe that uses almond flour. Oh my goodness I can eat this one! It’s really really good… Best recipe I’ve had yet! The only thing I did differently was substitute the sour cream with Greek yogurt because I already had it in the fridge. Excellent ! Awesome! So glad you love it! Can I premake the ingredients leave it in the fridge then pull it out later to make. I would like to make large batches or the entire week and then bring them out And microwave it daily. I haven’t tried. Let me know how it turns out. Tried this recipe tonight and used Colby Jack. Browning in butter was a great idea. I will definitely use it again, actually I made a second recipe to go with our Hamburger soup tonight. Perfect! Thanks for sharing. HI! First of all I cannot make anything with flour that might taste like coconut….LOL I made your bread this morning with Almond flour and all of the other ingredients. I will tell you that it was delicious…..I didn’t toast the bread but it was delicious as an egg with cheese sandwich!!! I will be doing this over and over and over again! Great recipe! I was looking for a 90 second bread recipe and saw you had one. Of course that was the one I was going to use since your recipes are so wonderful! Thanks for sharing all your wonderful recipes. Your talent blesses all of us that are trying to be successful on keto! Thank you so much for your kind words. I’m so glad you loved it. WOW! Just WOW! This truly is a game changer. I used this to make my buns for bacon cheese burgers. Toasted, all the fixin’s. I was so full, it was just awesome. Made it exactly as listed. I think the major difference was the coconut flour, liked it so much better. How could I put a sweet spin on it, since it calls for cheddar? I LOVE your recipes and website! Quick question…I’m not too keen on using a microwave due to radiation, so could I make this recipe in the oven? Ty and God bless!!!! Hey Trisha, I have only used the microwave for this recipe.